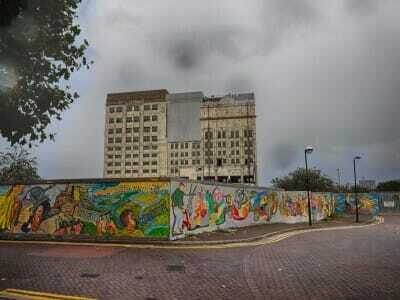 The East End of London has seen more changes than most other areas in the city in recent years. Following severe damage during the Second World War, much of the area was rebuilt. 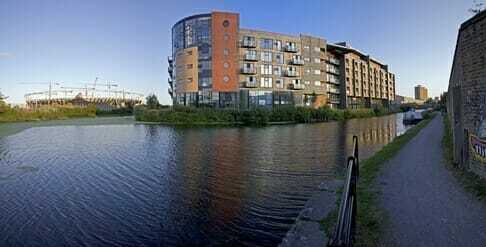 Despite this fact, the area did not ever really regain its former status as a hub of docklands industry. Recently, parts of the East End have been transformed once again after the London 2012 Olympics, which were held in Stratford. Despite post-war regeneration, parts of the East End remained run-down and relatively deprived compared to other areas in the capital. It had one of the highest unemployment rates in the country and real issues with crime and there were not many local prospects for the people living in and around Stratford in particular. But, the East End had something that much of London simply could not offer – land and space. There was the potential for development and a local population that could benefit from more housing that was built to a better standard and more jobs for local people. It was estimated before redevelopment started that the initiative could create over 3,000 jobs and around 4,000 new homes in and around Stratford thus improving the lives of many locals. The heart of the 2012 Olympics was the Olympic Park itself. This housed many of the game’s venues and the athlete’s village. Located in Stratford, the park was renamed after the games to the Queen Elizabeth Olympic Park in honour of the Queen’s Diamond Jubilee, which also took place in 2012. During the games it was home to the main stadium, the Aquatics centre, the velodrome and various other venues. The park also housed the Orbit – this is an artwork that is also used as an observation tower for visitors. Many visitors used the tower to get a fantastic view over the Olympic Park during the games. It has two viewing platforms set at 76m and 80m. The aim of the park build was not just to give the Olympics a home for a few weeks during the summer – the project was all about legacy as well. The park was designed to play a long-term role in the regeneration of the East End and in the sporting and recreational facilities available to locals, other Londoners and visitors. In order to manage the many visitors who would come to the Olympics, the East End’s transport and services infrastructure needed to be worked on quite a lot. It wasn’t enough to build a park full of brand-new venues; people had to have easy access to the East End and to better shopping facilities. 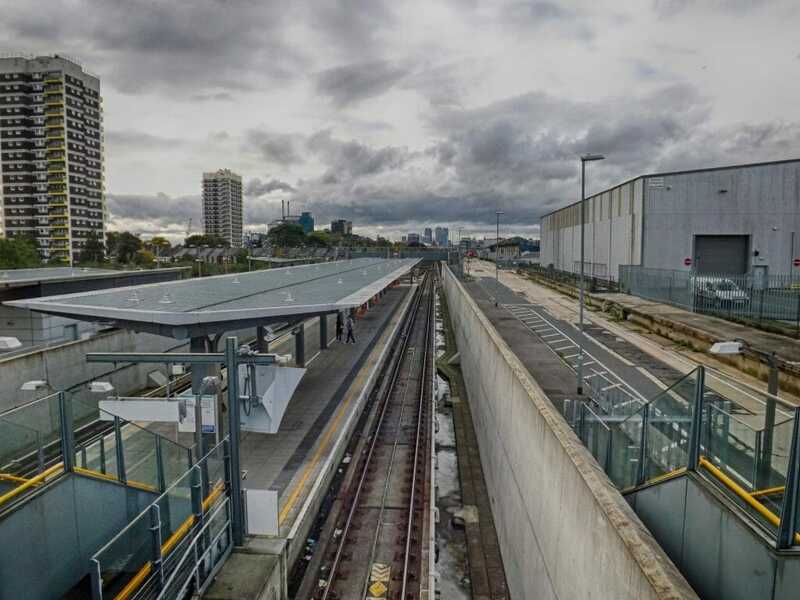 The station areas at Stratford were developed, bringing in high-speed trains and new connections that could get visitors from central London to the Olympic Park quickly, effectively and in mass numbers in less than 10 minutes. Surrounding tubes and bus services were also improved. Stratford shopping centre, which was old and more than a little jaded turned into a large Westfield centre, offering more upmarket shops, restaurants and services for both visitors and the locals who would continue shopping there once the games were over. Stratford locals will benefit from the existing infrastructure in the area that was built for 2012, including the better transport connections and shopping centre. Athlete accommodation is also being turned into new housing. The original Olympic Park is being redesigned with facilities opening gradually over the next few years. The stadium itself will be used for various sporting events and concerts. It is the home of the Rugby World Cup in 2015. After that, it will be used jointly by West Ham football club, who are moving to Stratford from their current stadium at that point, and UK athletics. Some of the other Olympic venues will also stay in place, although some may be reduced in size and adapted. The Copper Box arena is now home to the London Lions basketball team and offers a sports hall and gym facilities for locals. The Aquatics centre will be open to the public for swimming and water sports as well as event and there will be a hockey and tennis centre and a VeloPark. From 2014 visitors will once again be able to go up the Orbit. It will also be possible to hire the tower for private functions and events. The park was originally also designed as a nature area and this will be preserved into the future. The north end of the build will be a public park, full of different plants and wildlife. This area of the park will also have a café and a Tumbling Bay playground and activity area for the kids. thank you so much for this interesting and riveting piece. This aided me significantly in the case study on London I am doing for my geography GCSE.